A quote to live by from Litt California dispensary owner, Len May. Len started Litt California in 2015 to provide Californians with local, 100% naturally cultivated medicine because we wanted to offer accessible, healthy cannabis solutions to patients who need it fast. Len believes in getting the most out of life, and he deeply cares about what people put into their bodies. Thus, Litt’s core purpose is to help others with the amazing medicine we all know and love: cannabis — the California dream. Len was an activist for Safe Access for more than 20 years. As a result, he has seen hundreds of people get the relief they desperately require from medical marijuana. However, he was also appalled by the hypocritical legal obstacles currently in place prevent people from obtaining the medical marijuana they truly need. A second obstacle Len noticed was that there are no guidelines to quality and consistency of medicine in California. Often times, it’s unclear if there are pesticides in the medicine that effectively counteract the plant’s medicinal properties. Furthermore, extraction processes can often times leave significant amounts of chemicals in the final product. Determined to keep cannabis unadulterated, Len took it upon himself to cultivate a 100% natural medicine. 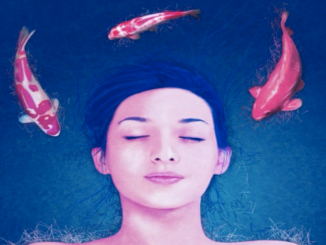 Leveraging their alliance with WoahStork, Litt takes it one step further by determining the effects of each strain and disseminating that information to their patients. After noticing that numerous patients were disabled by their pain that prevented them from traveling, Litt decided to establish a delivery service — bring patients their medicinal relief to their doorstep. What sets the Litt California Dispensary apart from the other organic caregivers in California? Their cultivation process and medicine is truly Grade A. They cultivate high-quality cannabis using sophisticated hydroponic techniques, giving them meticulous control throughout the entire grow process. Litt uses 100% food grade nutrients and the result is a wonderful plant that bears an intoxicating fragrance that not only tastes good, but is easier on the respiratory system. Reducing heavy metals and providing pesticide-free buds. A smoother, longer-lasting, and better tasting flower. Litt also assures the efficacy of their efforts by making sure every batch is lab-tested for pesticides and cannabinoid/terpene content. WoahStork asked Len what he would like changed about the industry, other than full federal legalization, and he expressed a requirement for generic testing and labeling. Len used an example that stemmed from past days, stating that there was a time when products in supermarkets didn’t have nutritional labels. Comparing that to today, consumers are discouraged from buying products that do not have a label on them. This is the same ideology that Litt values. Thus, they make sure that all their products are labeled correctly for the patient’s benefit. When asked about what Litt’s best selling strain is, Len came back with multiple answers. He stated that it was a tough question because it depended on what the patient desired for effects and taste. If the patient was looking for pain relief, their organic strain of OG Kush, or Sour Kush (an indica dominant hybrid) is fantastic. For stress relief, help with depression, or chronic pain, Len recommends White Widow. Litt also carries extremely unique strains such as Chocolate Thai, as well as the original Cannabis Cup winner, Northern Lights. Their 100% organic CO2 extracted Litt Oil is extremely popular, with patients loving the ease of using a vape. Order OG Kush from Litt California dispensary today! 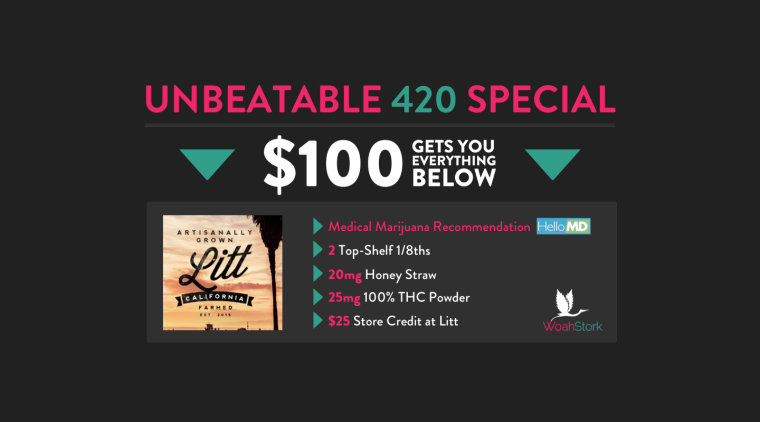 Litt leverages partners such as WoahStork to get more info about strains and what will be most ideal for the patients. Len also reported that he regularly works with leading doctors in the industry, such as Allen Frankel. Personally, he has a fondness for Northern Lights since he tried it in his hometown of Philadelphia — it completely blew him away. 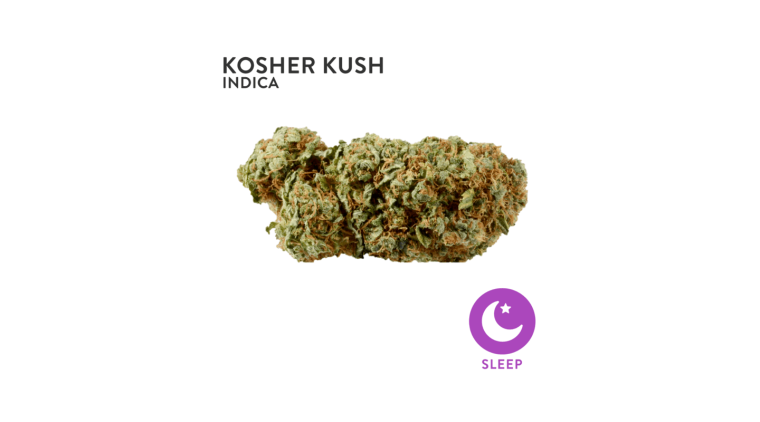 He also loves Kosher Kush for the balanced effect it offers. Tag #WoahStork when you order from Litt for a chance to win an awesome WoahStork tank top! WoahStork is a marijuana app that allows you to order cannabis online from nearby dispensaries. Simply upload your government issued ID and doctor’s recommendation (if you’re looking for medical marijuana), and you’ll be able to place online orders for pickup or delivery within minutes! We also have a vast database of strains for you to review, compare prices, and order online! If you don’t know where to start, our Strain Genie will give you a personalized strain recommendation for any medical ailment or recreational occasion! The more you order and review, the more cannabis rewards you get – redeemable for steep discounts on cannabis from nearby dispensaries. At WoahStork, we remember asking the questions “Where is there a a cannabis dispensary near me that lets me buy cannabis online?” That’s why we built WoahStork – a place where you can buy medical cannabis online. We’ve made it so that all the weed stores are now online. Not only can you order from the Litt California Dispensary, but you can order from dozens of other dispensaries in your area! If you’re looking for a site that shows you every marijuana dispensary in your area and lets you know where to buy weed online, WoahStork is your source! Register with WoahStork today and you’ll be able to buy weed online legally. Never worry about buying weed online again!